I don’t know about you, but it was pretty easy to love China when I first got here. Most of us are very familiar with the honeymoon stage of culture shock, right? Everything is new and exciting and wonderful! Unfortunately, that stage wears off. So, how do we stay in love with our host country? How can we cultivate a deeper love that will help us get past all those ugly days farther into our time overseas? At Taking Route today, I give three suggestions of “loves” we can find in our host countries and cultures that will help us thrive even when the going gets tough. 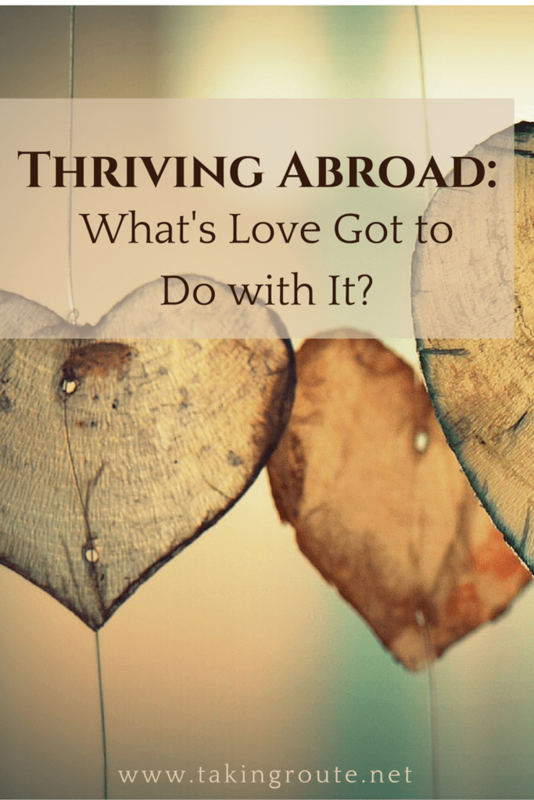 Read it here: Thriving Abroad: What’s Love Got to Do with It?